Wool is such a versatile and long-wearing fabric that it’s exceptionally well-suited for a footstool. This natural fabric comes in a variety of bright and muted tones, so there’s a shade for everyone. 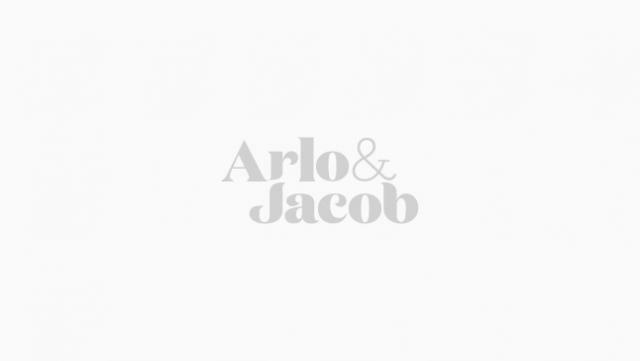 Explore our range below and find your perfect wool footstool from Arlo & Jacob. Meet Wentworth. With its solid hardwood frame, this rectangle beauty has perfect piped cushions finished with a stunning French seam. Meet Wentworth. With its solid hardwood frame, this square beauty has perfect piped cushions finished with a stunning French seam. With a fibre top and resilient foam, the tapered birch block legs mean it’s as strong as it is charming. Modern in function and traditional in comfort, Theodore’s been designed to match the different sizes of its namesake sofa meaning this multi-functional, maxi-comfortable footstool is the perfect partner to help you sit back and relax. The modular footstool completes the Crawford collection. The same height as the seat units, it can be placed against your sofa configuration for additional space and makes an impact when stood apart. Betsey is a beautifully designed, compact bed-in-a-box. Finished with stunning upholstery, in any of our block-colour fabrics; Betsey is both stylish and functional. Traditional with a twist, Hastings, with its deep-buttoned top and sculpted legs, makes for the smartest of ottomans. It is the perfect companion piece – just like the Agatha Christie character it is named after. The Ferdinand footstool is the perfect mid-century footstool for your living room. It has a strong rectangular shape, with matching geometric, tapered wooden legs, bringing this retro beauty up to date. Tabitha is practical as well as stylish. Fitted with a removable cover (fixed with Velcro) this luxurious footstool is one chic chameleon. Invest in multiple covers to change throughout the seasons, or to update along with your interiors. Need to hide clutter, toys or throws? Pop them into Pip, our ottoman-style, square storage footstool. With a deep buttoned top, this elegantly designed footstool will make quite a statement. It might be tiny, but our mid-century Tommy footstool is big on comfort. This modern footstool is compact, making it ideal for smaller homes and living spaces. It doubles as an extra seat for little ones, and a useful spot to rest an open book. Standing tall, Cartwright an air of sophisticated comfort. It's is a peruse-the-broadsheets, snooze-through-the-subtitles kind of footstool. A beautiful companion for any sofa or armchair. Tall and plump, the solid legs with antique brass castors add some vintage charm to the Hartfield. Piped double cushions and a hardwood frame make it as sturdy as it is comfortable, perfect as an extra seat or a resting place for tired feet. Sleek and modern Scandinavian-inspired footstool. This little bit of comfort also doubles as a handy storage unit. Ideal for holding magazines, toys or throws, it features two clever gas struts to avoid precious fingers getting caught. Four short, fat legs make Gardiner a sturdy companion for cold nights by the fire or hot date in front of the TV. Button-topped and low to the ground, it partners perfectly with our Elton and Mowbray. A classic, comfortable footstool on four solid legs. Smooth on top, Otway’s a wide best friend to our Darcy, Iris or Helena. Standing tall and proud, there’s more to Watson than meets the eye. A round, deep stool with hidden storage, pair our dear Watson with our Bardolph or Denny or use it as an extra seat. Oozing comfort and elegance, Bounderby’s a sight for sore eyes after a long day in the office. Beautiful buttoning on four solid legs makes Bounderby the perfect accompaniment to any of our sofas. Oozing comfort and elegance, Bounderby’s a sight for sore eyes after a long day in the office. Beautiful buttoning on four solid legs make Bounderby the perfect accompaniment to any of our sofas. Tall, proud and cylindrical, our Bennet’s the strong and stoic type. With beautiful piping and a single button on top, this footstool makes an ideal seat for your bedroom vanity or the perfect alternative to a bedside table. Elevated on slender, tapered legs our mid-century Eliot footstool is one easy-going, all-rounder. Ideal for contemporary and modern homes, Eliot adds a sleek and mature style to all living rooms.